When my baby reached the 6-month mark she was showing all the tell tale signs (sitting up, showing interest in food, smacking lips…) that she was ready to start eating something other than breast milk. 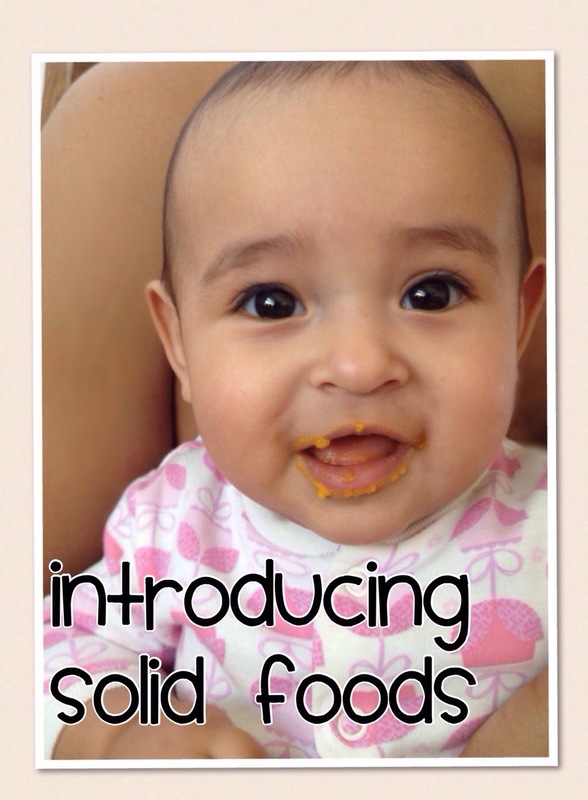 We were so excited to start introducing solid food and we were keen on making all her food at home. With the help of our doctor, we developed an effective strategy for food introduction. Here are a few of the guidelines/tips that helped us in our journey. This point is pretty self explanatory, we would introduce one veggie at a time and she would eat this veggie for 2-3 days in a row during the first month. Depending on the country where you live, there will be different suggestions on what to start with (ex. some suggest to start with baby cereal only, while others advise to start with veggies and introduce cereal a few days later). Remember to follow the guidelines set by your baby’s physician. Our doctor recommended to start with veggies first and then work our way up to fruit to get her palate used to veggies (since babies tend to prefer fruits over vegetables). Whether BLW or pureeing, the following approach is very helpful to prepare and store baby food. We found our Nomiku super handy for preparing our baby food. This cooking method allows you to cook different veggies at the same time, and is super efficient in terms of portioning and storage because you can store food in the same container you use to cook it. 1. Get a good selection of fresh (if you can) organic fruit/vegetables. 3. Cut into small bite sized pieces (you can cut into slightly larger pieces if pureeing). 4. Place food in a 500 ml mason jar, add about 150 ml of water, close lid and place in water bath we found that 90 C for 15-20 min works great for most veggies. Place food in a food safe bag, displace air and place in water bath. Soft fruits and veggies (i.e. zucchini, apples, etc) will require about 10-15 min, while harder food (like carrots) will take about 20-25min. 5. Once cooked, remove desired serving quantity along with some cooking water, puree and serve once cooled to about body temp. My mom found these nifty little jars where you can replace the lid with the blade of your blender, blend the food, and then store it. If saving prepared food for later use, here are two methods we found useful. Puree all the sous-vide food, place in an ice bath, then store in the fridge for up to 3 days or freezer for up to a month. Before serving, remove a portion from the container and heat it in a bain marie until it reaches about 36C. Place sous-vide food (whether in a mason jar or in food safe bag) in an ice-bath for a few minutes until it has cooled. In a mason jar this will create a vacuum seal which will help the food stay fresh. Foods cooked (and stored) in food-safe bags are already in vacuum so they will remain fresh. Place in refrigerator for up to 3 days or in the freezer for upto 1 month. Before serving, portion out desired amount, puree (optional) and heat over bain marie. Now that you know what your baby likes (and dislikes), it’s time to mix it up! Pair popular veggies with not so popular ones. For example in our case, chayotes and carrots were instant hits, while zucchini not so much, so we paired them in a 2:1:1 ratio and she loved it! In this stage you can start adding some legumes, grains and meats. Try getting your baby used to flavour combinations you use at home and try to use veggies from different color families to make sure she is getting a variety of vitamins and minerals. Remember be patient and positive, but most of all have fun!! If you’re interested in sous-vide cooking at home head over to Nomiku their blog is full of awesome recipes, you can also head to bagsoakeat for recipes and reference values. For more info on baby food and parenting Mama Natural is a super useful resource. Do you have any helpful tips about baby food? Please share below!